Dr. Thomas Rau, who’s run the Paracelsus cancer clinic in Switzerland since 1958 checked the records of the last 150 breast cancer patients he’d treated. Some 147 of them (98%) had one or more root canal teeth on the same meridian as the original breast cancer tumor. His clinic has a dental section where all new patients have their mouths cleaned up—in particular, having all their root-canaled teeth removed. So, Tonya, is it really true that root canals cause cancer? Should I get mine pulled? My reply…Let me offer a different perspective...In the former Soviet Union, I’d guess, a solid 98% of women my age and older have had at least one root canal, the vast majority had 4, 5 and up to 8 root canals done and of the worst possible sort—the nerve being killed with arsenic. Women in China have been facing a similar situation. Have most of them developed cancer? Thankfully not. 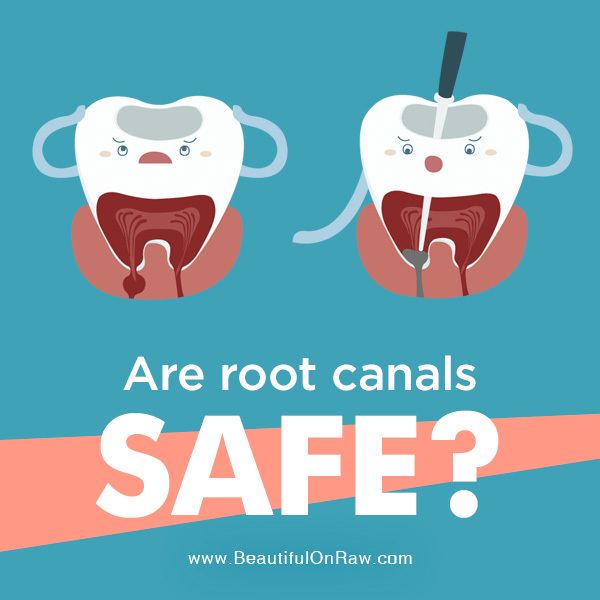 I do completely agree that having a root canal presents a health risk. For some individuals it might present a life-threatening situation. If you are one of these people, don’t read any further and get rid of such teeth as soon as possible. I don't believe, however, that it’s all that deadly for everybody. Having your mouth “cleaned up” by extracting all your root canal teeth, as a preventative measure, might well have a horrific consequence: Your face will age overnight. If you’ve ever seen a toothless mouth, you know that look. Then there’s the money: At the very least, you’re looking at bridges or partials, and if you wanted implants, you’d be somewhere into five figures. Nor should you assume that because one important cancer clinic follows this procedure, everyone should. Don’t start out by considering any drastic action. There are ways you can significantly lower the negative effects of a root canal and still stay very healthy. 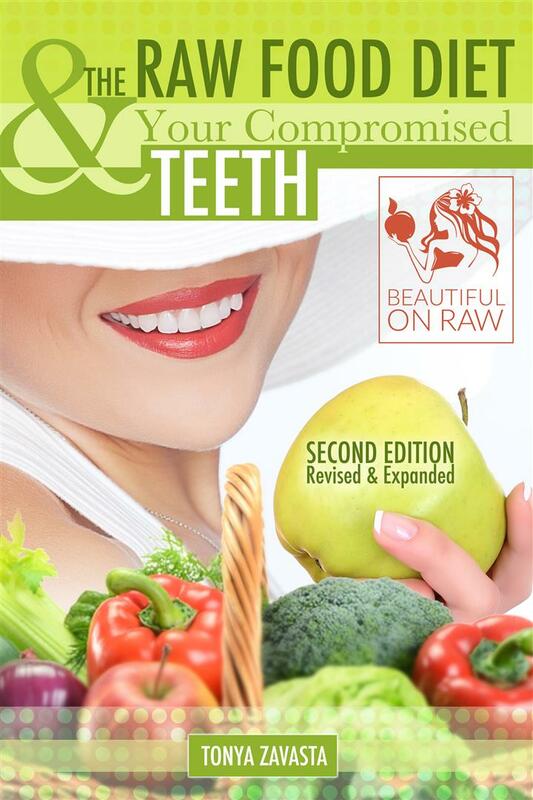 You’ll find more information in my book The Raw Food Diet and Your Compromised Teeth. Too often we face tough decisions about oral care, especially as we age. Which of the three is the best choice? That’s not for me to say. That’s between you and your dentist. What’s important is learning as much as you can so you’ll make a smart choice. Here are a few points some dentists might not mention. 3. Oral Balm is Back in Stock! 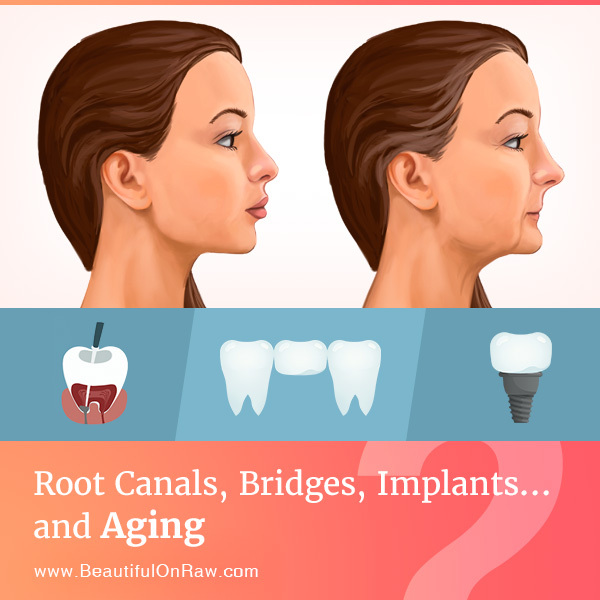 Had a root canal, bridge, or implant? Your teeth and gums always need care. 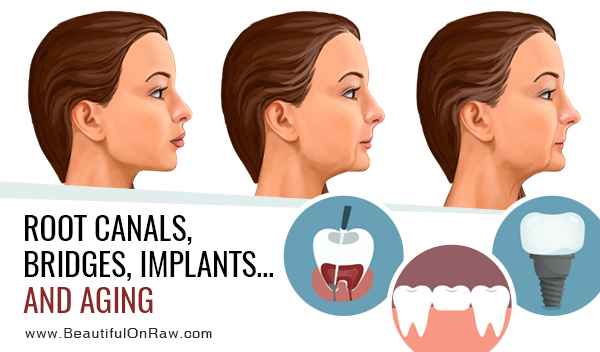 But the sites of implants, bridges, and root canals warrant your special attention. Be sure you brush and floss regularly. Use a toothpaste that will help you combat possible infection. 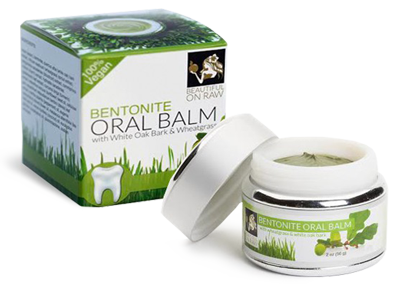 My Bentonite Oral Balm evolved out of the need to keep my own compromised teeth in top condition. I’m very proud of this unique product. I made sure every herb known for its soothing, healing and antibacterial properties was added to the formula. Bentonite clay is the main ingredient—a powerful detoxifying agent. Also present: white Oak bark, long used to combat mouth sores and bleeding gums. 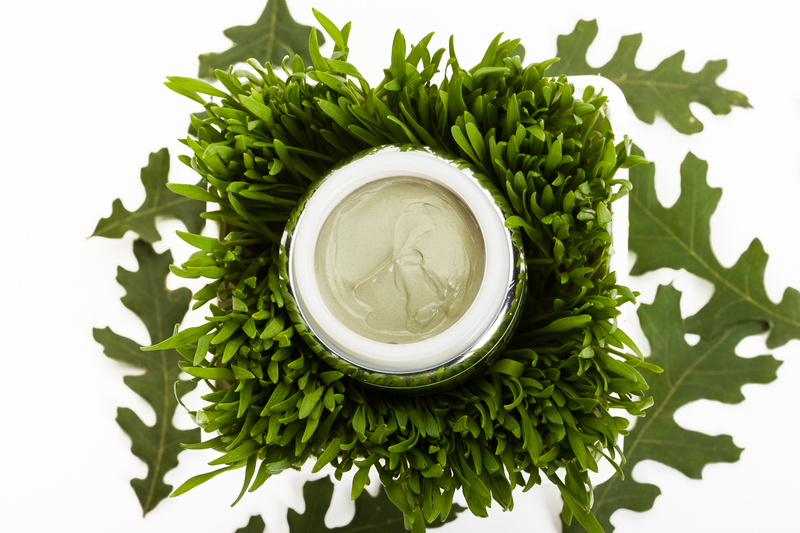 Our balm contains wheatgrass, offering high quality chlorophyll to arrest the growth of unfriendly bacteria. The balm’s coconut oil contains medium chain fatty acids (MCFAs). These neutralize odors due to their ability to kill disease- and odor-causing germs. Our balm’s moisturizing effects, especially when used at night, combat dry mouth that encourages bacterial growth and plaque. We added steam-distilled eucalyptus oil, offering antibacterial, anti-inflammatory, diuretic, and antispasmodic properties. As well, we’ve added tea tree oil, found effective against gingivitis. Naturally, I couldn't leave out turmeric, which fights gum inflammation by suppressing the action of a gene that creates irritant chemicals. And then there’s calendula extract, which promotes wound healing. It offers anti-inflammatory and antiseptic properties and aids in healing inflamed mucous membranes, thanks to its astringent qualities and the anti-inflammatory esters in its petals and pollen. There’s more: myrrh, bloodroot and clove. We added them for their antimicrobial and antiseptic properties. Keep your gums healthy and you’ll keep your teeth intact. And that’s of great importance in keeping your face youthful as you grow in years. There's amazing nutrition in coconuts! Gum Disease: symtoms, treatment and prevention of gum disease.